A weekly podcast focused on what's happening in the Kubernetes community covering Kubernetes, cloud-native applications, and other developments in the Kubernetes community. Co-hosts Adam Glick and Craig Box can be reached on Twitter at @KubernetesPod or by email at kubernetespodcast@google.com. Today Google and CloudBees, along with 20 other companies, launch the Continuous Delivery Foundation (CDF). Tracy Miranda is the Director of Open Source Community at CloudBees, who coordinated donating Jenkins and Jenkins X to the CDF. She talks to Adam and Craig about why it the CDF been formed, and what to expect in this space in the future. Kubernetes Podcast from Google Cloud Next - live show at Google Cloud Next! Brian Grant joined the Borg team in 2009, and went on to co-found both Omega and Kubernetes. He is co-Technical Lead of Google Kubernetes Engine, co-Chair of Kubernetes SIG Architecture, a Kubernetes API approver, a Kubernetes Steering Committee member, and a CNCF Technical Oversight Committee member, where he’s sponsored 11 CNCF projects. Your hosts talk to him about all those things. Didn’t they launch it 5 months ago? Kubernetes has a number of mechanisms to enforce policy: some built-in, like quota and NetworkPolicy; some extensions or add-ons like OPA. John Murray, a product manager at Google Cloud, joins Craig and Adam to talk about policy and configuration, and introduce the new CSP Config Management tool launched to Beta along with the new Cloud Services Platform. Adam is in the news! The history of Borg influences the history of Kubernetes in many ways: Google has different teams handle “get traffic to a cluster” and “serve traffic”, so Kubernetes has a conceptual split here too. Tim Hockin, Kubernetes co-founder, Google principal engineer and former Borg/Omega team leader, joins Adam and Craig to explain the history and future of the Ingress API, why it’s taken so long to get to v1, and how it might evolve in the future. Intelligence Squared: Can an AI change your mind? Robot or Not: Is your AI a robot? The new GKE Usage Metering feature lets you find out how much your tenants or applications cost to run. Your hosts talk to Madhu Yennamani, product manager at Google Cloud, about usage metering, and how new GKE features are implemented. Minikube is a tool that makes it easy to run Kubernetes locally, by running a single-node Kubernetes cluster inside a VM on your desktop or laptop. Craig and Adam talk to author and maintainer Dan Lorenc from Google Cloud, and in the wake of the Super Bowl, discuss how “football” means something different to each of them. You learn so much more from failure than success. Henning Jacobs, head of Developer Productivity at Zalando, joins Adam and Craig to share his own stories of failure, and talk about what he has learned by reading stories from others. Richard Hartmann is a member of the Prometheus Team and the founder of the OpenMetrics project, which aims to replace SNMP with a modern format for transmitting metrics. He joins your hosts to discuss both projects, and how Cloud Native technology can improve the datacenter. Google remains the top contributor to CNCF projects, even if you were to remove Kubernetes! Rook is a cloud native storage orchestrator and a controller for storage systems such as Ceph. Jared Watts has been working on Rook since the start, first at Quantum, and then at Upbound. He talks to Craig and Adam about storage, chess, and premium-rate telephone numbers. Does anyone actually read the show notes? Turns out a few of you do. Thank you for listening and reading! 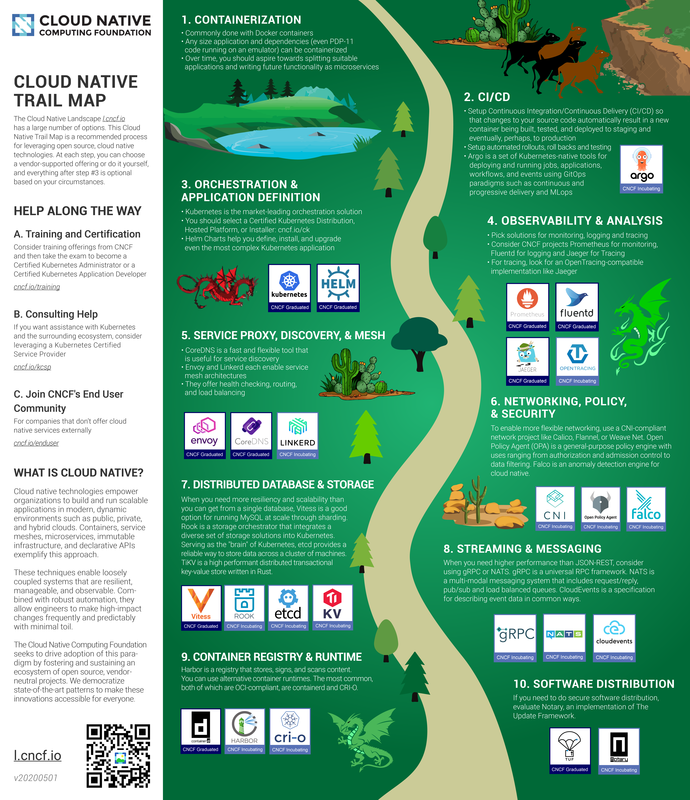 The Cloud Native Computing Foundation was formed to create a vendor-neutral home for Kubernetes. Now with over 30 projects, we kick off 2019 by talking to Dan Kohn, Executive Director of the CNCF, and hearing his views on projects, licenses and conferences. What would Dan like to see in the CNCF? Adam and Craig end the year by talking to Jordan Liggitt, the member of the Kubernetes Product Security Team who fixed the recent critical security vulnerability in the Kubernetes API server. We also take a look at the news from KubeCon. This is our last episode for 2018. Thank you for your support this year, and we’ll be back on the 8th of January! Geekwire: Has Istio become the new cloud-native darling? The Envoy proxy, a universal data plane for Cloud Native, has just graduated as the third top-level project in the CNCF. Craig and Adam talk to its author, Matt Klein from Lyft, about modern load balancing for microservices and pragmatically avoiding “second system” syndrome. If you’re running on-prem, and you say set up a Service type=LoadBalancer, what happens? Does your cluster call your NOC and have them order you a Juniper router? MetalLB is a popular answer to that question. Your hosts discuss load balancing with MetalLB’s author, Google Cloud SRE David Anderson. Kontena Pharos is a Kubernetes distribution which “just works”, even on bare metal. Adam and Craig talk to Kontena’s CTO, Jari Kolehmainen on the decisions required to distribute Kubernetes and heating your house with bare metal. In some ways, China has a parallel Internet to the West. Is that Internet powered by Kubernetes? Of course! Joe Zou, PaaS Product Center Director at Tencent Cloud, talks to Craig and Adam about Kubernetes in China. Thanks to our translator, Rae Wang. On the eve of the first KubeCon in China, your hosts talk to co-chair and Google software engineer Janet Kuo about the program, and her work with SIG Apps. TriggerMesh is a new serverless management platform built on top of Knative. Co-founder Sebastien Goasguen joins Adam and Craig to discuss serverless, and potential trips to space. Sarah Novotny is Head of Open Source Strategy at Google Cloud and a board member of the Linux Foundation (the parent of the CNCF). She joins Craig and Adam to talk about the evolution of the Kubernetes community, governance models and Codes of Conduct, and how nascent open source communities can learn from it. Whose Pod Is It Anyway? Ubisoft and Google Cloud have extended Kubernetes to support dedicated game servers. Cyril Tovena, a Technical Lead from Ubisoft in Montreal, and Mark Mandel a Developer Advocate at Google Cloud, lead the project. They talk to Adam and Craig about what they had to do, the Agones community, and how you can apply it to your Enterprise Software. GKE container-native load balancing enables Google Cloud load balancers to target Pods directly, rather than the VMs that host them, and to evenly distribute their traffic. Product manager Ines Envid and staff software engineer Neha Pattan explain how. Steven Kim is an engineering manager at Google, based in New York City, working on the Spinnaker project. In a companion piece to last week’s episode about CI and CD, Steven talks to Craig and Adam about how Spinnaker evolved from VMs to Kubernetes and support for other cloud native technologies. Andrew Phillips (PM) and Lars Wander (Software Engineer) from Google Cloud talk to Adam and Craig about the difference between CI and CD, and how to apply these processes to your release and rollout processes. Dawn Chen, TL for SIG-Node and the Google Kubernetes Engine node team, joins Craig and Adam this week. She has worked on containers and container schedulers since 2007 - not a typo. We also bring you the news, in part from the echo chamber of Google Cloud Summit in Sydney. 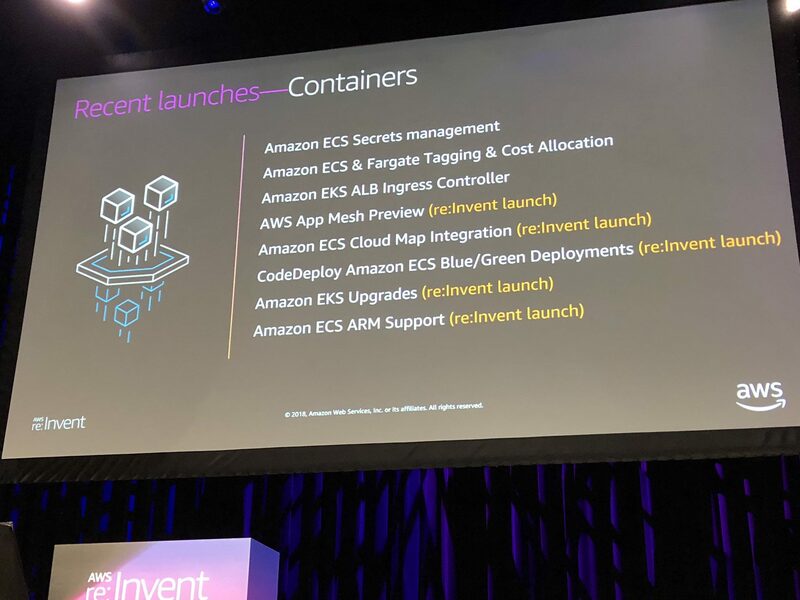 EKS can generate kubeconfig files! Dawn’s first job: tracking processes. Each job had its own GID - she would use netlink connection tracking to map processes and threads to GIDs, and, using procfs, figure out CPU and memory usage. Fake NUMA - cut a machine into big chunks and assign them to groups of processes. Was SIG Node the first SIG? How did we get to CRI? This week, your hosts talk to Ihor Dvoretskyi, Developer Advocate at the Cloud Native Computing Foundation, about SIG-PM, the Special Interest Group for Kubernetes Program, Product and Project Management. Join the Kubernetes 1.13 release team! Was Craig was referring to this, or this? Justin Garrison is both a student and a teacher. A senior systems engineer in the media industry, he has boiled his experience and wisdom, as well as that of his co-author Kris Nova, into the book Cloud Native Infrastructure. He talks to Craig and Adam about the Kubernetes community and the process of writing. Enter the Cisco & Google Cloud Challenge! Win things! Justin’s last KubeCon talk: Let’s Build Kubernetes, With a Spreadsheet and Volunteers! What does it take to support Kubernetes for other users? Kenneth Massada, a lead for GKE support at Google Cloud, tells Craig and Adam his story. But not using Vegemite, British Marmite or New Zealand Marmite, which are three totally separate things. Only one of which is nice. Liveliness and readiness probes - don’t make them the same! 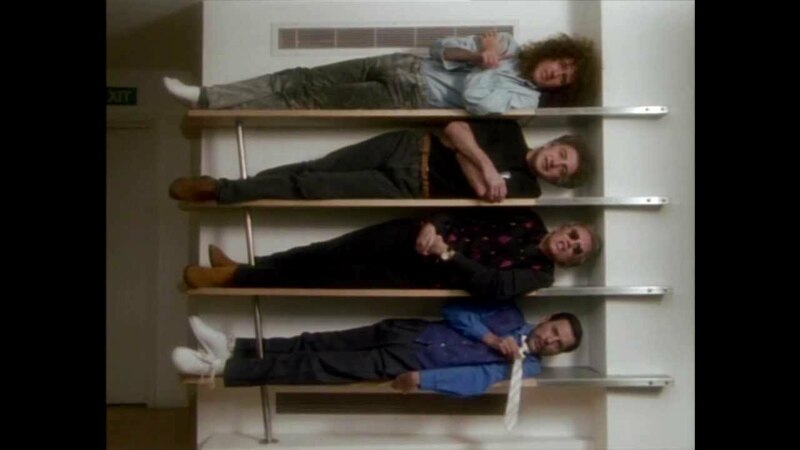 What would Ken like to see changed in Kubernetes? Or summon him with a GCP support case! Jon Pulsifer is a Production Security Engineer at Shopify, and Canada’s biggest Kubernetes fan. Adam and Craig dig into why, and what Adam’s new mode of transport is going to be. Shopify Voucher, a tool that creates attestations for Binary Authorization and prevents the deployment of images that don’t meet Shopify’s security requirements. What is a server-side request forgery? Tim Kelton is co-founder and cloud architect for Descartes Labs. Prior to starting Descartes Labs, he was a R&D engineer for 15 years at Los Alamos National Laboratory, working on problem areas such as deep learning, space systems, nuclear non-proliferation, and counterterrorism. Tim talks to Craig and Adam about the use of Kubernetes and Istio in geopolitics, machine learning and food supply. Istio has hit 1.0, and there’s no-one better to tell you about it than Jasmine Jaksic and Dan Ciruli from Google Cloud. Adam and Craig bring you this, as well as the news from the ecosystem. One of the most interesting announcements from Google Cloud Next was Knative, a framework for building serverless products on top of Kubernetes. Craig and Adam talk to Google Director of Product Management, Oren Teich, about the launch. Learn about the announcements from Google Cloud Next, including GKE On-Prem, Cloud Services Platform, and Istio 1.0. Google’s product management lead for Kubernetes and CNCF governing board member Aparna Sinha joins Adam and Craig to discuss what’s new. Joe Beda, Craig McLuckie and Brendan Burns are considered the “co-founders” of Kubernetes; working with the cluster management teams at Google, they made the case that their implementation of the Borg and Omega patterns should become a proper product. Joe and Craig now run Heptio, a company working to bring Kubernetes to the enterprise. Your hosts talk to Joe Beda about the history of Kubernetes, creating a diverse company, and what exactly is wrong with YAML. Helm and its Charts help you manage Kubernetes applications. Vic Iglesias, a Solutions Architect at Google Cloud, is a maintainer of the Helm charts repository. He talks to Craig and Adam about how people are using Helm, and where the project is going. A special extended episode going deep on the process of releasing Kubernetes, and this week’s 1.11 release in particular. Hear from Josh Berkus from Red Hat and Tim Pepper from VMware, release manager and shadow release manager for Kubernetes 1.11, on how a release team is put together, the good and the bad of 1.11, and how Kubernetes is like a pastry oven. Don’t you think it’s about time you said hello? Craig and Adam from the Kubernetes Podcast talk to Tina and Fred from Google Cloud Site Reliability Engineering (SRE) about managing GKE and what lessons you can take to your own clusters. On this week’s Kubernetes Podcast, your hosts talk to Maya Kaczorowski from Google Cloud about Kubernetes security, and look at announcements from Microsoft, Docker, Cisco and Spotify. 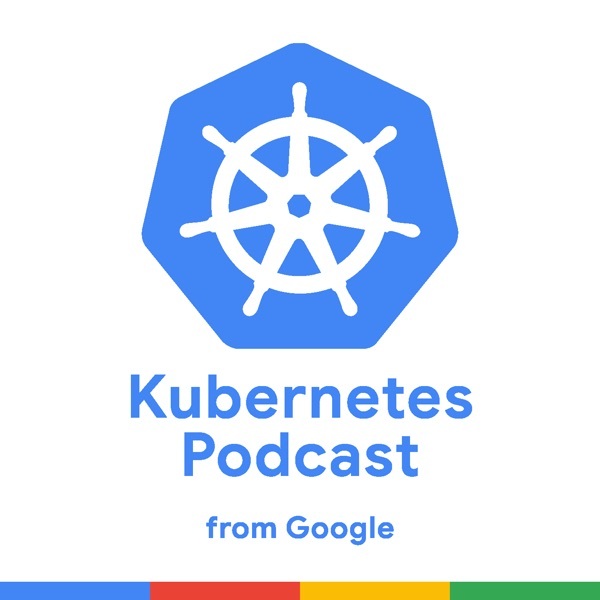 This week on the Kubernetes Podcast from Google, Craig and Adam give you the low down on new GKE features and talk to Phillip Wittrock about Kustomize. On this weeks Kubernetes Podcast, Adam and Craig talk to Matt Rickard about Skaffold. This week, Craig and Adam bring the news from Google Kubernetes Engine and elsewhere, and talk to SIG-Docs leads Zach Corleissen (from the CNCF) and Jared Bhatti (from Google). On this weeks Kubernetes Podcast, your hosts talk to JD Velasquez from Google Cloud about Stackdriver Kubernetes Monitoring; a new product that brings first-class Kubernetes monitoring and Prometheus support to the Stackdriver monitoring and observability suite. On this weeks Kubernetes Podcast, Adam and Craig talk to Nicolas Lacasse and Yoshi Tamura from Google Cloud about gVisor, a user-space kernel, written in Go, that implements a substantial portion of the Linux system surface. It provides an isolation boundary between the application and the host kernel and integrates with Docker and Kubernetes, making it simple to run sandboxed containers. Microsoft and Red Hat announced the upcoming Managed OpenShift on Azure. Red Hat announced roadmap for CoreOS integration. Mirantis has announced “Virtlet”, which enables customers to run VMs as pods in a Kubernetes cluster. Techcrunch took a look at how Kubernetes is creating a broad ecosystem for startups. Craig and Adam bring you the news from KubeCon and an interview with Kubeflow product manager David Aronchick from Google. In this first episode your hosts introduce the show, give an update to the news of the week, and interview Kubernetes community manager Paris Pittman.